Say your “please’s” and “thank you’s”, please! My momma raised me to send thank you letters, whether it was for the gifts I’d received as a child all the way up to making sure I followed up promptly after my first job interviews in high school. And I still do this, all the time as seems appropriate. I saw a colleague post on my LinkedIn page about this. She was in the job search industry as well, and wondered in a post: is it common, or expected, anymore, to send a thank you note after a job interview? After a networking connection has been made? When someone sends you a great article or referral? For a job well done by someone you hired? She wondered if it’s now considered, “old fashioned”. I send them if someone refers a client to me. I thank my clients for hiring me. I thank the cashier for kind service. I thank my friends for sending me a “thinking of you, thought you’d like this video/article/etc.” message on social media. It’s a nice way to be remembered in people’s minds, too, for being appreciative, courteous, thoughtful – and professional. And you WILL be remembered for these small efforts to express gratitude and consideration! An important success factor in job search (and getting offers! ), is to stand out among your competition. 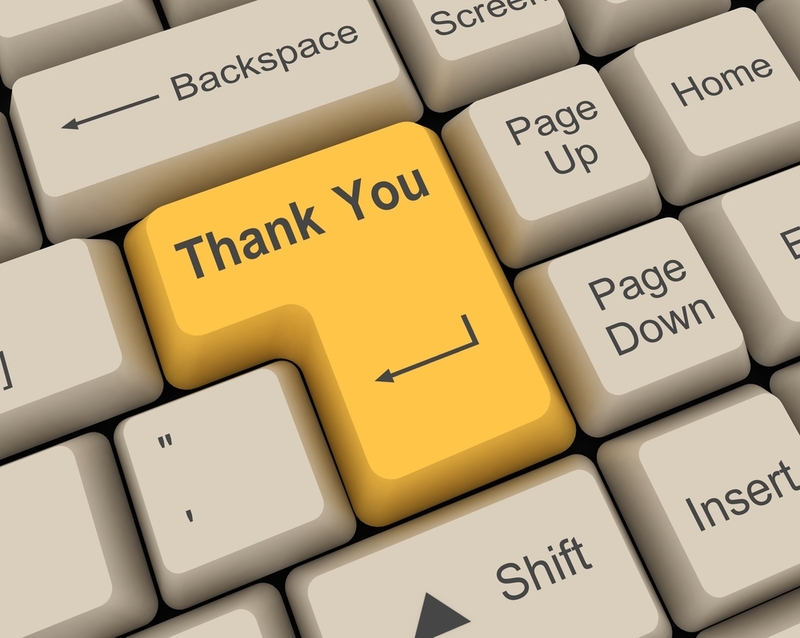 One simple, quick way you can do that is to send a thank you letter after an interview. Personally, I think a THANK YOU letter after a job interview is an awesome idea. I have hired most of the people I got them from, however, I have received them from less than 5% of all applicants. I do not believe anyone would hurt their chance of being hired by thanking someone for consideration. So please, say thank you! Send a letter after every interview, or, at least the ones you are even remotely interested in pursuing. Even if you are not, it’s still classy & professional to send one anyway, and who knows when the networking contact may come in handy. Always make a positive impression. Send an email, or, even a typed, business style letter. You are always safe with a simple, typed business style letter. Nowadays, email is more than acceptable, and even your first choice, especially if you’ve already been emailing with the person that interviewed you, or, if you were given their business card after the interview. Make sure you spell the recipient’s name(s) correctly. The trick is to get business cards from the interviewers when you leave, or, check with the receptionist on the way out. This isn’t as tricky if you’ve already connected with them via email or on social media. *Yes, it’s worth the small effort to CHECK your resources before you send! * People will notice – and be turned off – if you misspell their name! Communicate sincere gratitude. In other words, avoid using the ‘thank you letter’ as another vehicle to slip in additional sales pitch information about yourself. If you absolutely forgot to share some vital bit of experience or skill, consider carefully whether to include it in the same letter, or whether it is more appropriate to call, or even send a separate letter. Include a brief recap of the interview experience (this jogs their memory of which candidate you are). I like to add in something I learned about the job, company, or interview that I particularly enjoyed, was impressed by, or excited about. Again, this detail helps you stand out in the reader’s mind. But keep it brief, after all, the point is to express gratitude for their time, not reply the whole interview. Reiterate that you are interested in the job. Close with something like “I look forward to hearing from you soon.” instead of “I hope to hear from you soon.” The former implies a gentle confidence that they will, in fact, contact you; the later subtly implies doubt, lack of confidence. If you are ‘hoping’ to hear from them, it becomes possible you will not. Avoid conditional language like that. 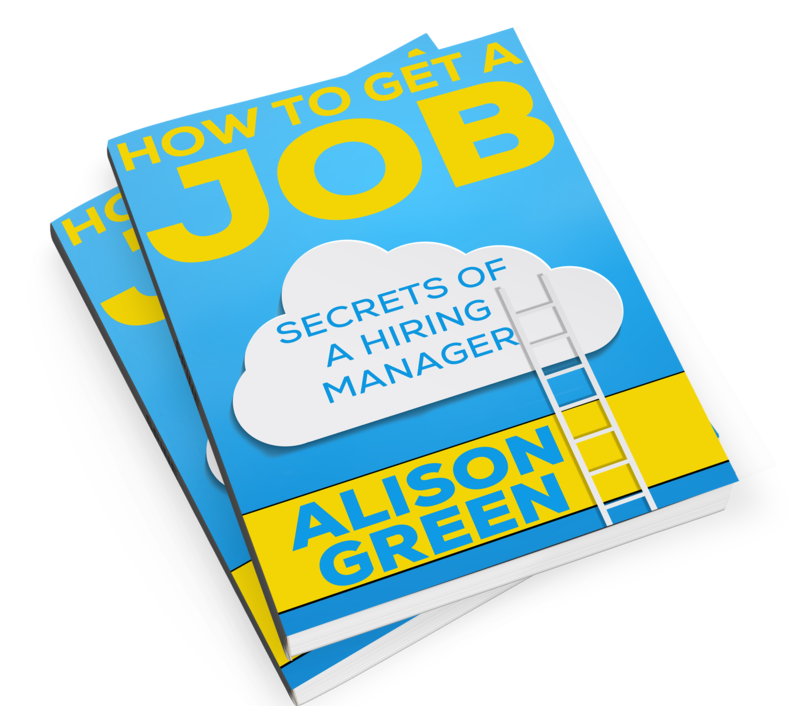 Repeating you are interested, along with making this extra effort to send a note, again shows you are a serious, motivated candidate – and that’s a big plus to an employer. Send the letter that day or the next day after the interview. Again, this is where email is great. In the old days, I recommended faxing it, can you imagine that anymore? Depending on the circumstance, job, and company, mailing a thank you the old fashioned way can be an extra touch, but rarely if ever expected, nor will it likely win you bonus points. If you’d like to see a sample thank you letter as a model, click here. Short and simple, but memorable is your goal. You will thank me for convincing you to send these! More details here! GREAT BOOK!